It’s getting close! 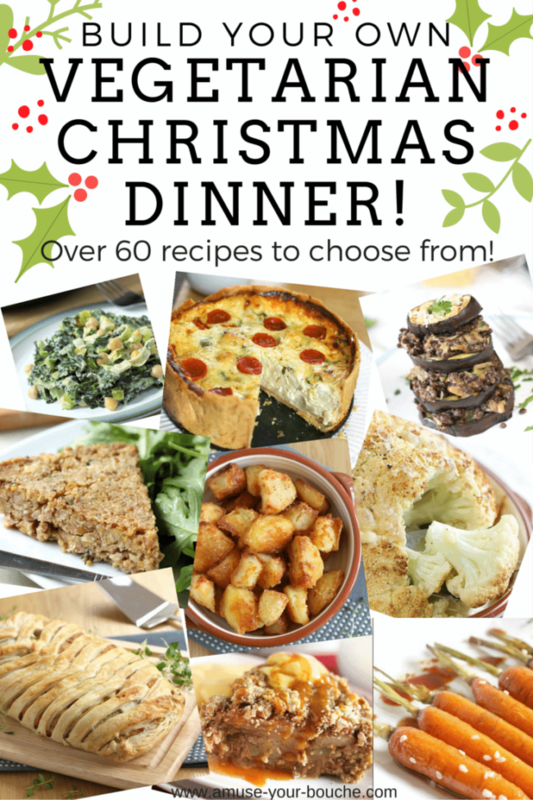 Just one week left to finalise your vegetarian Christmas dinner menu. It’s strange, I wouldn’t put so much thought into one meal on any of the other 364 days of the year, but somehow Christmas dinner takes weeks of thought and preparation. Hopefully some of the recipes I’ve posted over the past couple of weeks will have helped you out a little! Here’s one more: the best homemade vegetarian gravy. 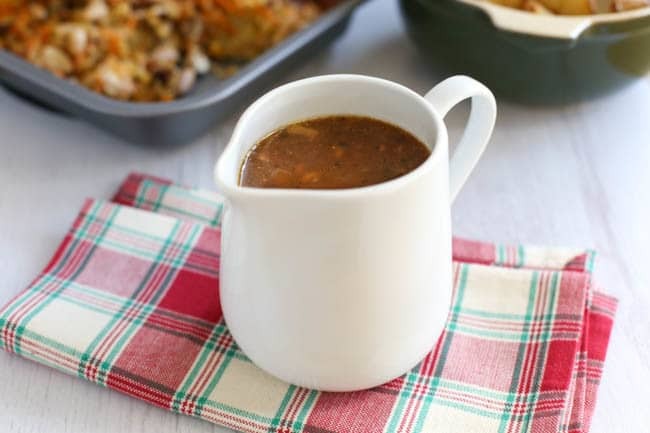 This is a really simple gravy recipe, but it’s super tasty, and helps to pull together all the different dishes on your plate into a proper Christmas dinner. It starts just like a lot of other recipes, with sautéed onions and garlic. I added some mushrooms too, for extra flavour. Make sure you chop everything really, really small – I personally do like my gravy to have a little texture, but you don’t want it to be too lumpy. Alternatively, if you want a really smooth gravy, you could blend the whole lot at the end. 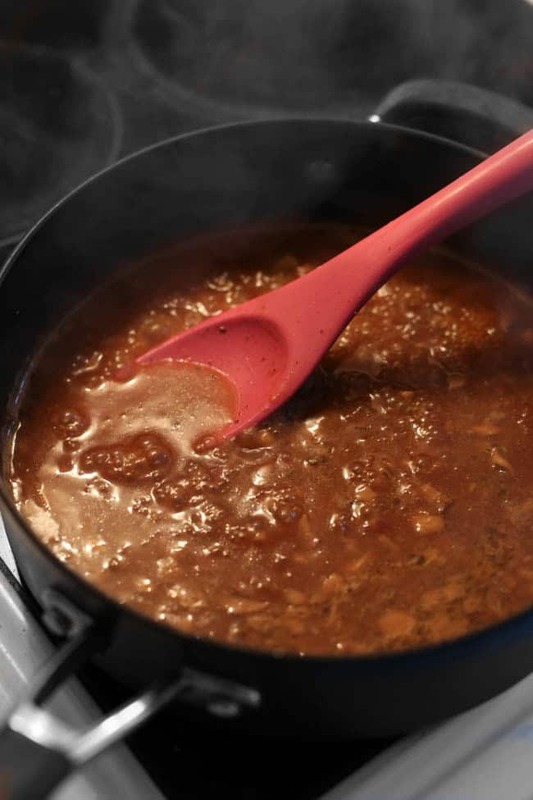 The gravy is thickened up with a roux of butter and flour. Then, it’s time for the secret ingredient that adds that all-important richness: Marmite! 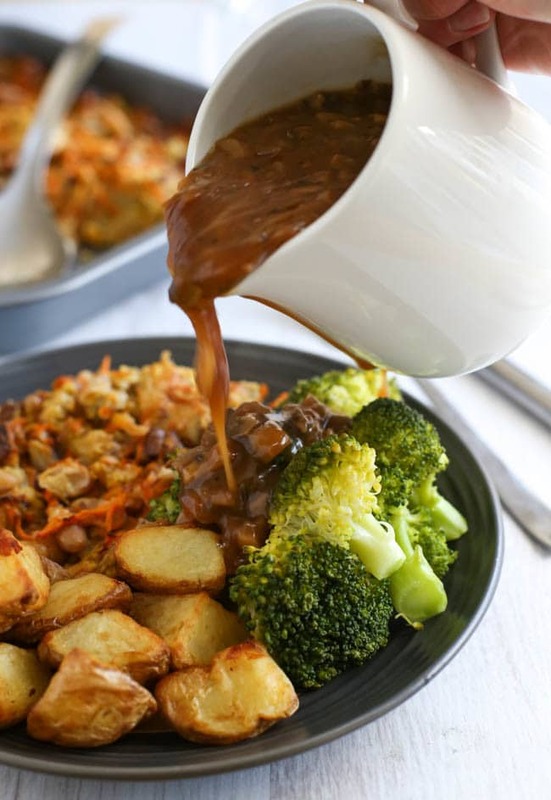 With no meat juices allowed in our vegetarian gravy, it’s important to think outside the box, and Marmite adds a deep saltiness (not to mention that lovely dark brown colour!). If you’ve ever tried Marmite, you’ll know that this stuff is strong – so you only need a small spoonful to add heaps of flavour. If you can’t find Marmite in the shops where you live, I’d definitely recommend buying some online – it’s so versatile (I’m forever adding it to stews and casseroles), and one jar will last you a really long time. 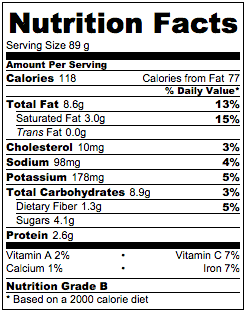 It’s also a really good source of vitamin B12, which is great for vegans, as it’s otherwise mostly found in animal products. 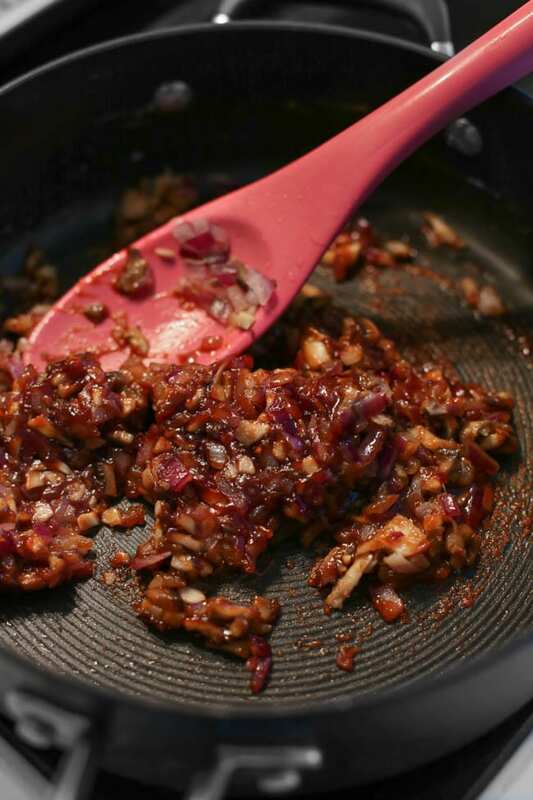 Heat the oil in a frying pan, and add the finely diced onion, mushrooms and garlic. Cook over a medium-low heat for at least 5 minutes, until soft and fragrant. Push the vegetables to the outside of the pan, and add the butter to the middle. Allow it to melt, then add the flour, and mix to combine. Add the Marmite, and mix well, incorporating the vegetables back into the mixture. Add the hot water (or any leftover water you might have from cooking vegetables - as long as it's unsalted), honey, sage, and plenty of black pepper. Mix well, and bring to a simmer. Cook for at least 5 minutes, or however long it takes to reach your desired consistency (I like mine fairly thick). Just tried this recipe word for word and it was inedible and bitter. Very disappointing as it looked very nice. Hi Pamela, sorry you found it bitter! I can’t think why it would possibly be bitter – the only ingredient that I would consider remotely bitter is the Marmite, and you only need a tiny bit of that. Strange! If you burnt either the garlic and/or the onion Pamela that would make it bitter. I have made it a few times for my vegan son and it tastes great . Oh my that looks delicious! I have vegetarian cousins, so will definitely give this a try when they are next over. Love the idea of adding marmite! I love this recipe! Looks and sounds amazing! I will have to try it out at our house! I hope it is a hit! Thanks so much for sharing! I hope it’s a hit too! Let me know how you get on! Looks delicious! 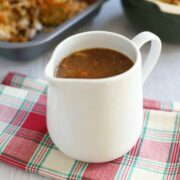 Need to have a proper homemade gravy for Christmas dinner. Oh yum, and I am completely thrown (in a good way) by the addition of marmite). Would love to try your version out. I have never liked it when my husband makes gravy using a powder so I do welcome your recipe, health, vegetarian and entirely homemade! This gravy looks and sounds amazing! 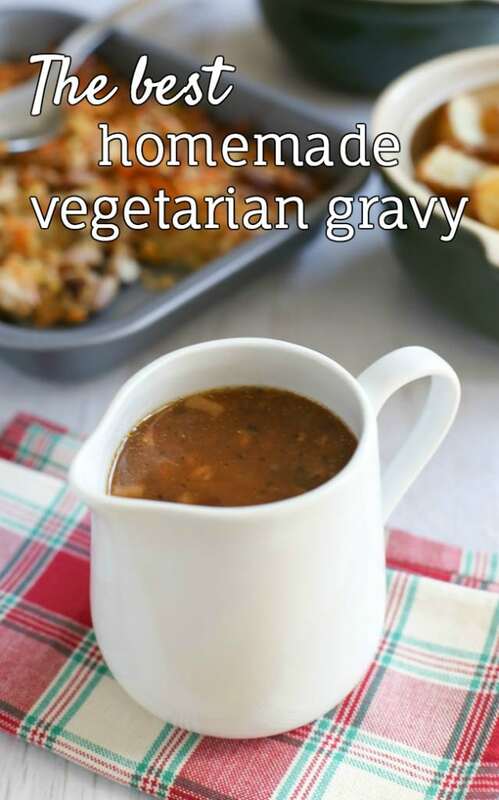 I’ve never made a vegetarian gravy, and was really curious how you would give it that rich, savory *oomph*. I never would have thought to use marmite, but it’s brilliant! I’ll have to pick some up and give this a try sometime! Oh onion gravy with added mushrooms – I like the thinking! I’ll try this for myself as I do happen to have a jar of that marmite in my fridge (by the way, does it NEED to be refrigerated?) but I am hoping to find a great gravy my daughter can eat that has no yeast of any kind and no soy either (then we can both eat it together and if vegan, my son can eat it with us). Still, I appreciate the recipe for most times!